Oak Grove’s mission is to provide quality care for residents by providing a “home-like” atmosphere which promotes good quality care, assistance in maintaining personal dignity, independence, and the resident’s right to make choices. We are committed to providing person-centered, individualized care to our residents. We work where they live. The history of Oak Grove is quite interesting. The facility was constructed in 1976 by Lois Vincent Fells. Lois was the Administrator until 1988 when her son, Dan Fells, assumed the role. The Fells family created a wonderful, loving atmosphere for the residents of Oak Grove that still continues today. Oak Grove is known for staff longevity and stability. There are currently three department heads with over 20 years experience at Oak Grove. In addition, there are many direct caregivers with similar tenure. The longevity is a true testament to the quality environment that was established at Oak Grove years ago. This environment continues today and the proof is in the pudding. 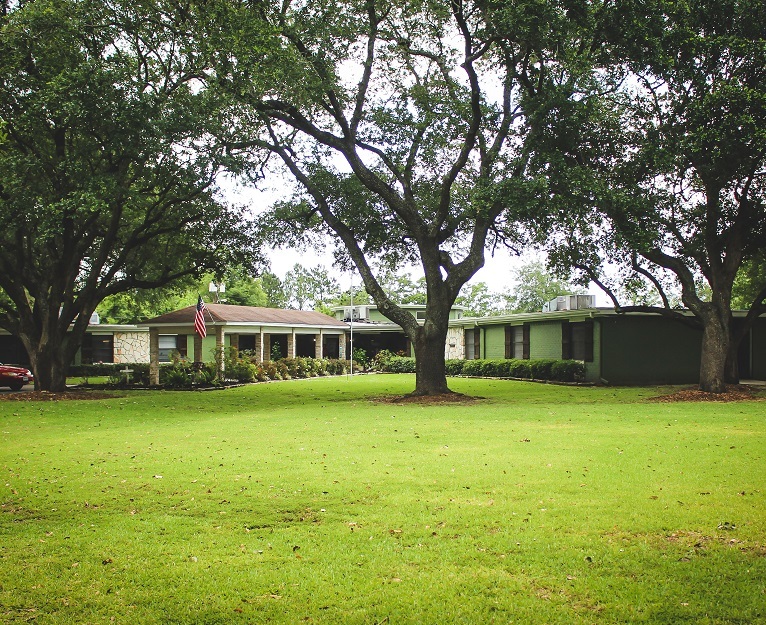 CMS has Oak Grove ranked as one of the best nursing homes in the state of Texas. Additionally, Oak Grove is the only Better Business Bureau “accredited” nursing home in the Port Arthur / Groves area. True to its namesake, Oak Grove is nestled among shady live Oak trees in a residential area of Groves, Texas. Come see for yourself.